← Children vs. Vegetables: Tips for Handling your Picky Eater. Don’t have time to make breakfast? 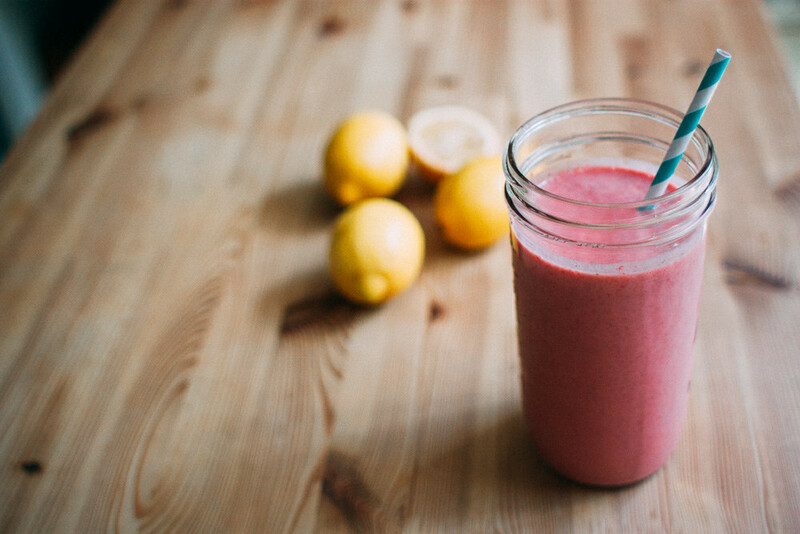 Smoothies are the answer! Do you find yourself skipping breakfast because you are rushing in the morning or you are too busy packing food for your kids? Skipping breakfast can actually have negative health outcomes, like slowing down your metabolism, or causing you to feel low in energy throughout the day. Sometimes it can be hard to find quick breakfast foods that are also healthy. It is easy to drink a smoothie while getting ready or driving in the morning rather than skipping breakfast or taking time to sit down and eat. Smoothies are the perfect quick breakfast option because they can be packed with a lot of essential vitamins and minerals that help kick start your day. Often times, smoothies are thought of as only containing a variety of fruit, but it is also important to include a variety of vegetables. In fact, smoothies are a great way to easily add more servings of vegetables into your diet. Fruits, such as bananas and pineapple, will cover up the taste of vegetables that you may not be fond of. Try adding as many vegetables to your smoothies as desired to get a variety of important nutrients. People often think that they need fresh fruit and vegetables in order to make smoothies every day. However, another easy option is to prepare and freeze bags of produce ahead of time. This option will allow produce to be preserved longer and it will also cut down on food preparation time in the morning. 1. Look online to find a smoothie recipe that sounds tasty. 2. Buy your favorite fresh fruits and vegetables or the ingredients to the online recipe you found. 3. Dice the fruit and chop the vegetables into small pieces. 4. Put all the pieces for the recipe into one freezer bag or container. 5. Label the bag with the flavor of the recipe and the date you made the bag. 6. Put the prepared bags in the freezer. 7. Wake up and choose the flavor smoothie you desire. 8. Empty the frozen contents into the blender. 9. Add milk, yogurt, protein powder, peanut butter, nuts and/or other ingredients into the blender. It is important to add a liquid to the recipe or all of the frozen produce may be difficult to blend. 11. Pour into a cup and breakfast is ready! If properly stored in the freezer, these smoothie bags can last up to 6 months. Now you have an easy breakfast that is full of vitamins and minerals to start your day off right! For more informative articles check out the Fill Your Plate blog. If you liked these recipes, then you will love the Fill Your Plate recipe section. This entry was posted in Diet Tips, Fill Your Plate, Food, Fruit, Grocery, Health Tips, Healthy Eating, Produce, Recipes and tagged Banana, Breakfast, recipes, Smoothies, Spinach, strawberries. Bookmark the permalink.